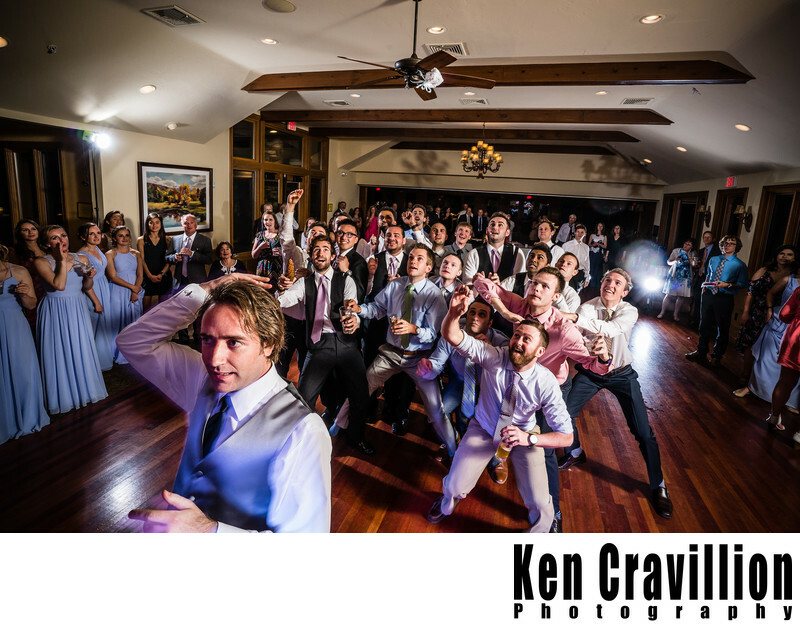 Normally the garder toss is kind of an afterthought as most of the single guys are not interested in taking part in this wedding reception tradition. That's not the case here as the guys fought for the garder. This photo catpures the garder in mid air. This reception was held at Gordon Lodge in Door County. 1/25; f/13.0; ISO 800; 18.0 mm.